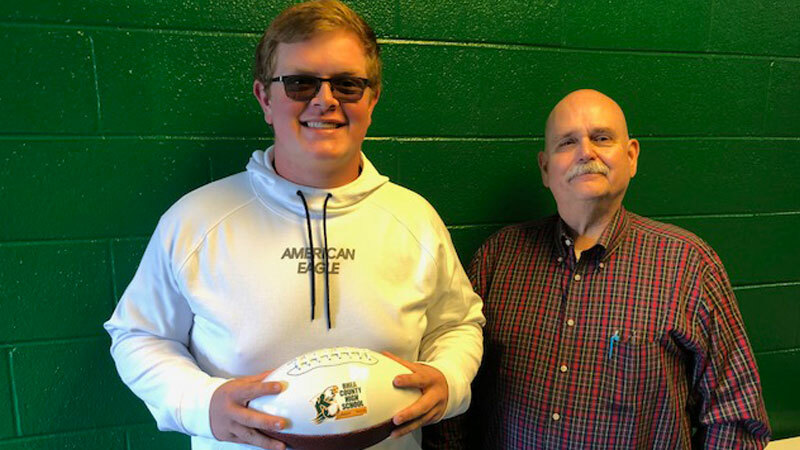 Rhea County senior and standout Offensive Tackle for the Golden Eagles, Colton Edwards, has been named Player of the Week versus Soddy Daisy. Edwards continues to anchor the Eagles’ offensive line grading out at 80% on the night. Edwards has already garnered the attention of colleges with an offer on the table from Culver-Stockton located in Canton, Missouri. Colton and his Eagle brethren are set to defend the nest against 6A powerhouse Cane Ridge this Friday for Senior Night with kickoff set for 7:30PM.